Fish ahead! 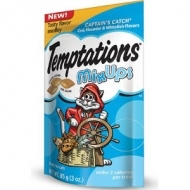 With Flounder, cod, and whitefish, these temptations treats are any sailor and cats delight. Keep ‘em comin’ to hear your cat calling "ahoy!" Let's face it folks: waking up is the worst. Even from a catnap. But if there is anything worth waking this kitty up for, it's BACON! 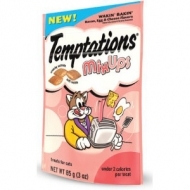 This paw-some TEMPTATIONS™ breakfast mix with flavors of BACON! EGG! ANNNND CHEESE! 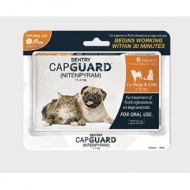 is a treat so good it turns night owls into early birds. Rise and shine, it's breakfast time! How do I know? It's definitely not because I own an alarm clock. It's because this splendid scramble of protein makes waking up to every sunrise a purrrrrfect delight! With egg, salmon and chicken flavors, these magic little morsels have captured the essence of daybreak. Move over lunch and dinner, breakfast is my new favorite! 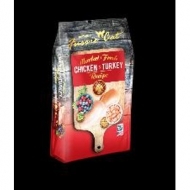 Fussie Cat Market Fresh Chicken & Turkey 2 Lb. 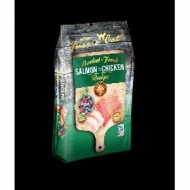 Fussie Cat Market Fresh Salmon & Chicken 2 Lb. 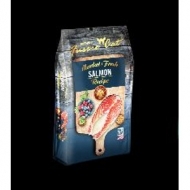 Fussie Cat Market Fresh Salmon 2 Lb. 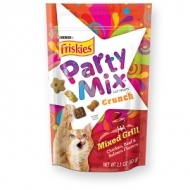 Cats are fired up about this grillicious mix of chicken, beef and salmon flavors to add sizzle to every day. Catabunga! Get ready for a mondo wave of the flavors of chicken, salmon and crab! Dude! 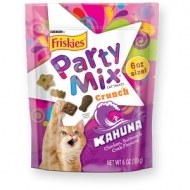 Your cat’s gonna be stoked when you open this crazy-good treat with chicken, turkey & bacon flavors. Surf’s up! And the waves of deliciousness are rolling in with crunchy seafood flavors as good as the ocean is deep. 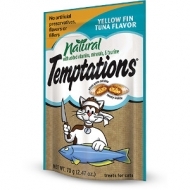 Cats will even face their fear of water for TEMPTATIONS™ Naturals Yellow Fin Tuna flavored cat treats. 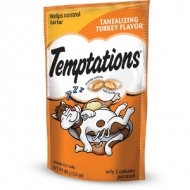 With great taste and added vitamins and minerals, nothing can keep your cat from them. 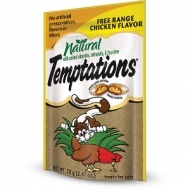 Satisfy your cat's need for chicken with TEMPTATIONS™ Naturals Free Range Chicken flavored cat treats. 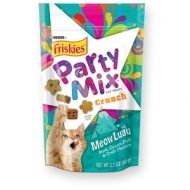 With no artificial flavors preservatives or fillers, they are 100% nutritionally complete. 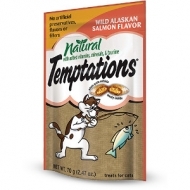 Serve your cat the catch of the day with TEMPTATIONS™ Naturals Wild Alaskan Salmon flavored cat treats. 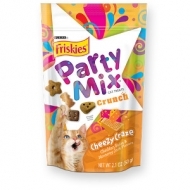 With added vitamins and minerals and absolutely no artificial preservatives, flavors or fillers, they're a delicious treat with whole grain goodness. 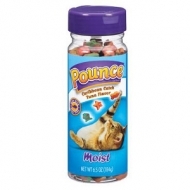 Shake the container and watch your cats come running for Pounce® Chicken Flavor Moist Treats. 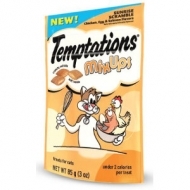 These bite-sized heart-shaped treats are made with real chicken! 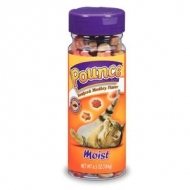 Pounce® Seafood Medley Flavor Moist Treats are made with real tuna and salmon to create a delicious taste that cats can't resist. Just shake the container and watch them come running! 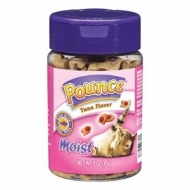 Pounce® Tuna Flavor Moist Treats are made with real tuna for a delicious taste that cats can't resist. 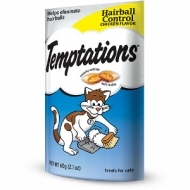 Just shake the container and watch your cats come running for these bite-sized fish-shaped treats! 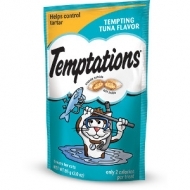 Your cat will crave the taste of real tuna in Pounce® Caribbean Catch® Tuna Flavor Moist Treats. Plus the fun fish shapes and tropical stripes will make a big splash! 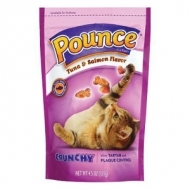 Pounce® Crunchy Tuna & Salmon Flavor treats keep your cat playful with fun shapes and two delicious seafood flavors.